In my last post I talked about head room and lead room. In this post, let us talk about a very interesting rule. 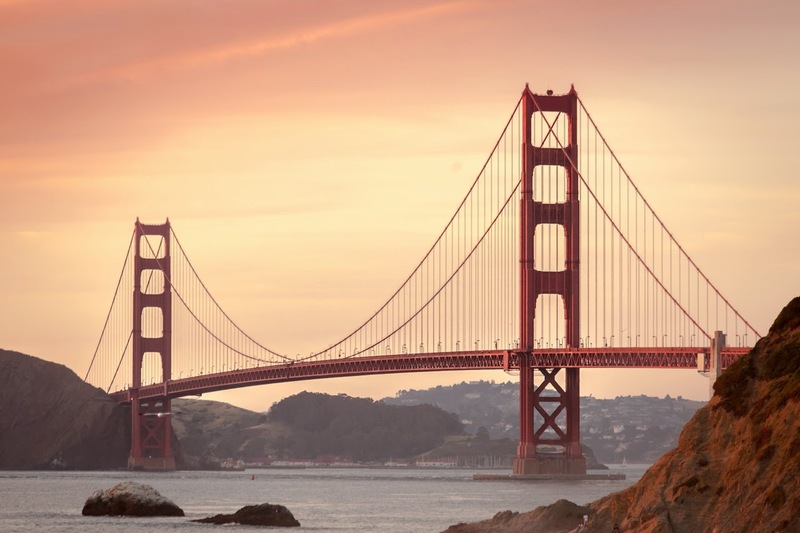 This tip will help you take photographs. 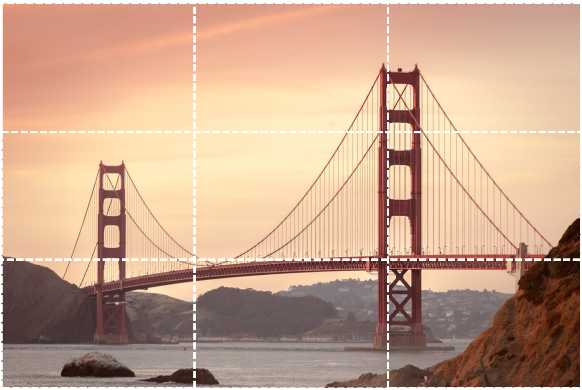 To understand this rule, imagine that the photograph is divided into 9 equal parts. This rule states that the 4 intersection points are the 'power points'. The subject when placed around these areas becomes 'powerful'. While taking this photograph, if the cameraman had placed the soldier in the middle of the photo, the photo would not look so good. 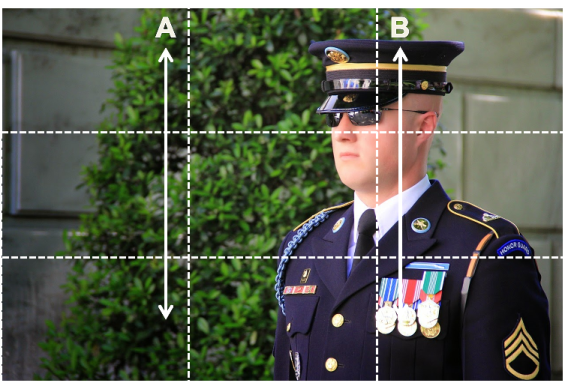 When you are taking this photo, place the soldier along the Line A or Line B. Look at another image. See how the animal has been placed on one of the 4 power points. 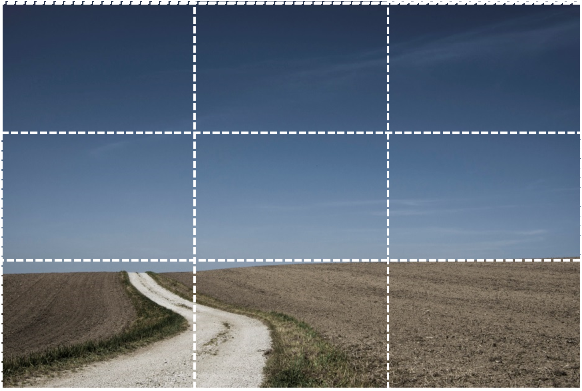 Imagine you are taking the photo of the horizon. Where will you place the horizon? Along the bottom dotted line (going from left to right). 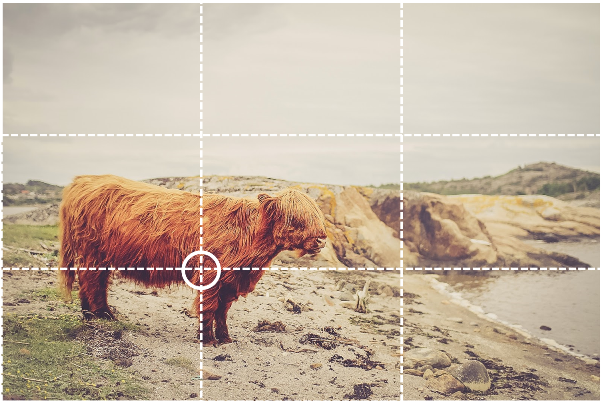 Did you see the rule of thirds being followed? The next time you take a photo, follow this rule. You will most definitely come up with a much better looking photo.